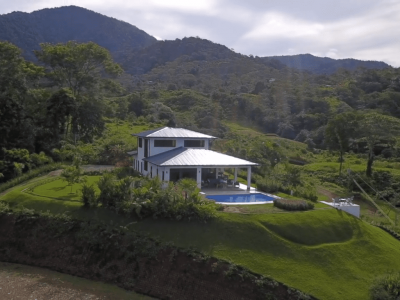 1.24 ACRES – 3 Bedroom New Home With Pool And 360 Degree Ocean And Mountian Views!!!! 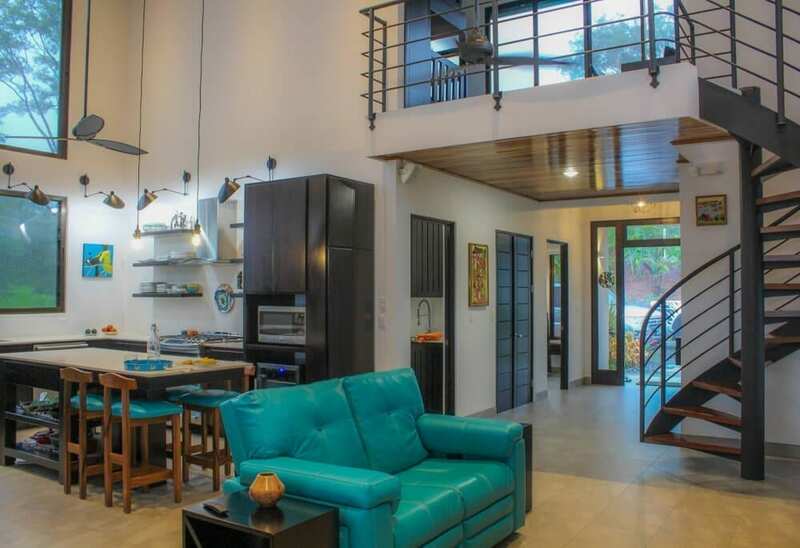 Living Space: 3,700 sq. 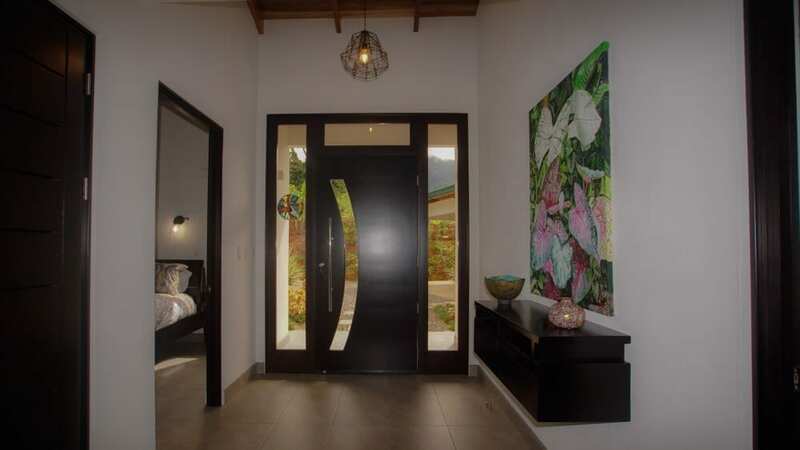 ft.
As a discerning buyer, you will be delighted by the appreciative qualities that this new home has to offer. 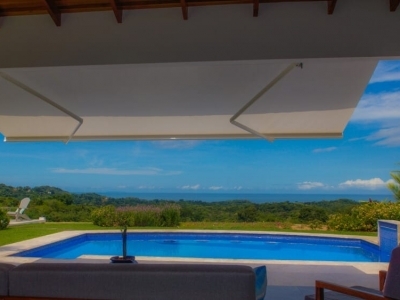 Live in style and comfort, and in full appreciation of the gifts of nature. 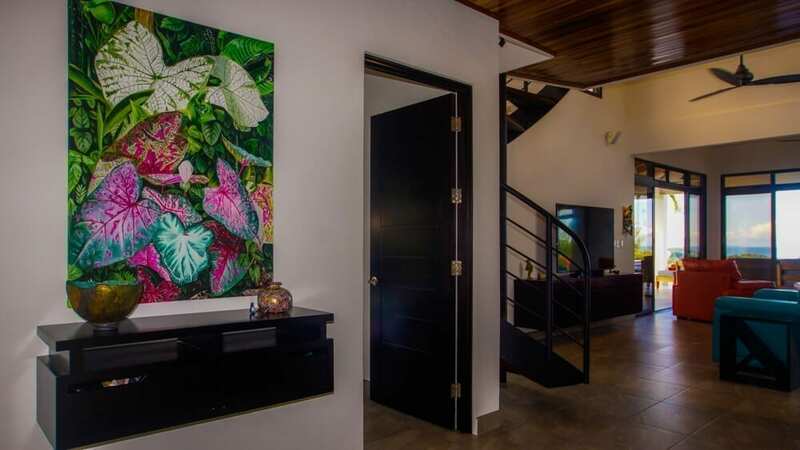 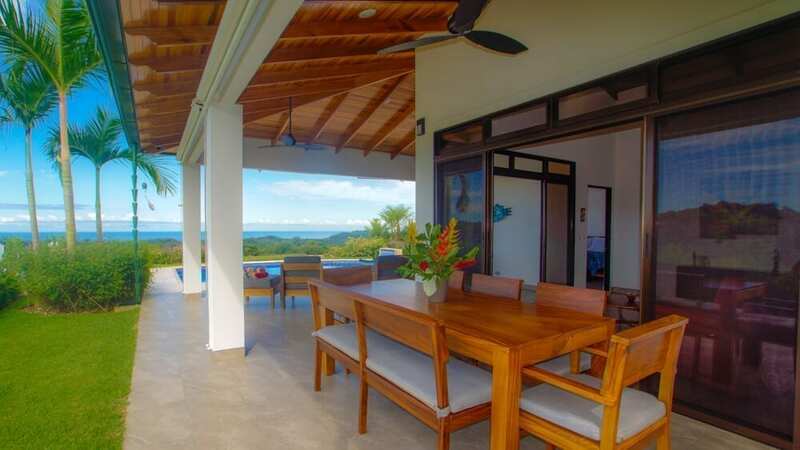 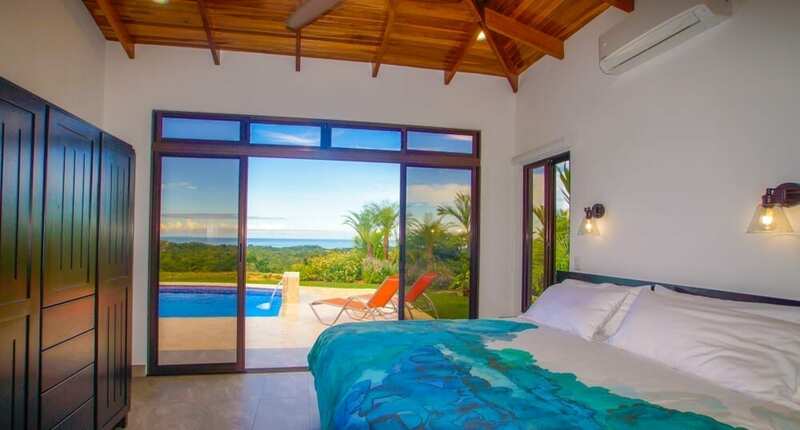 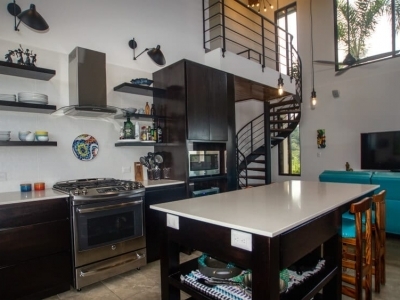 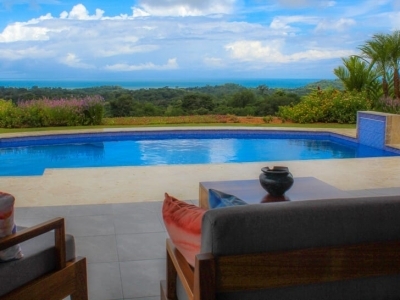 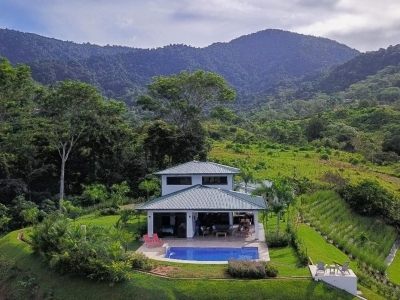 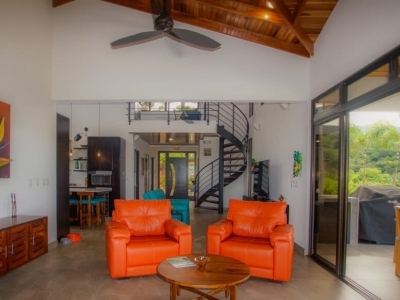 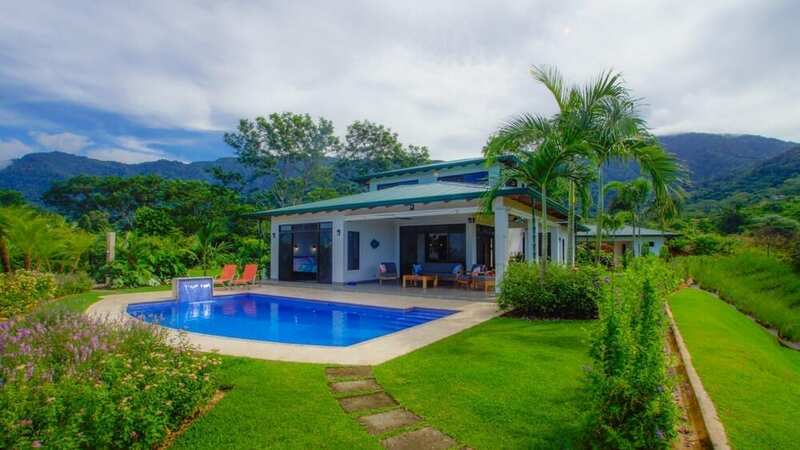 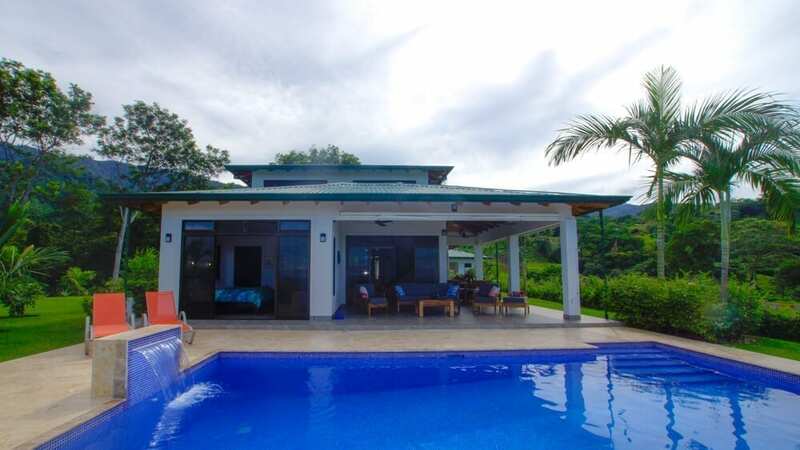 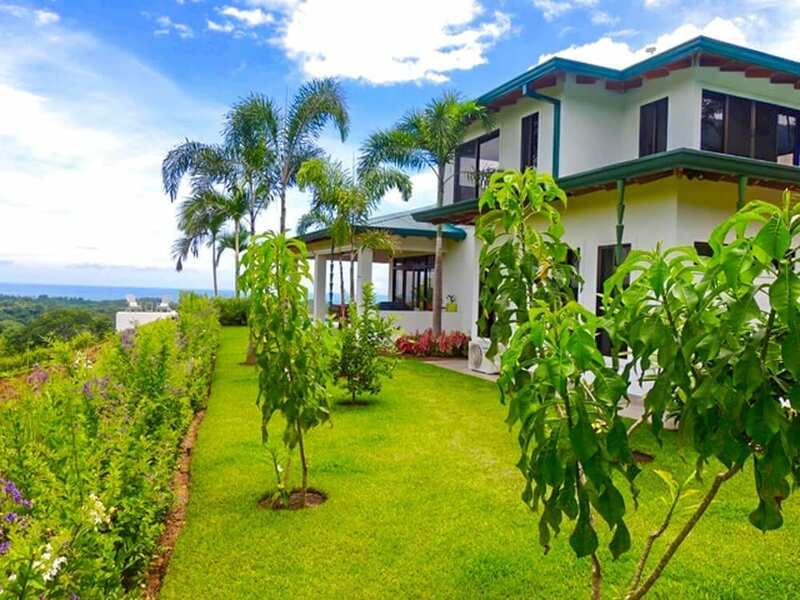 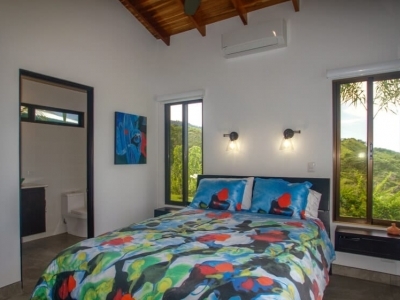 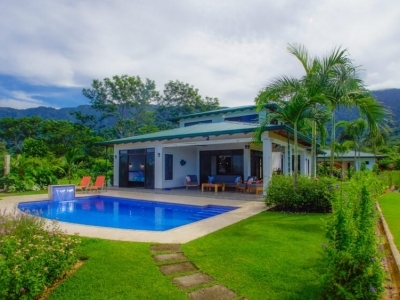 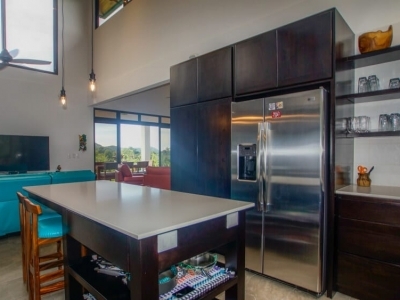 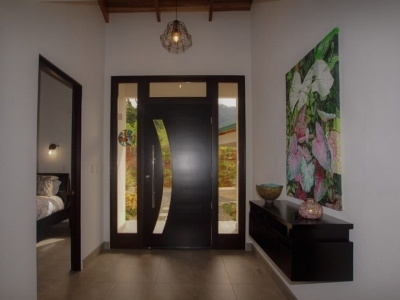 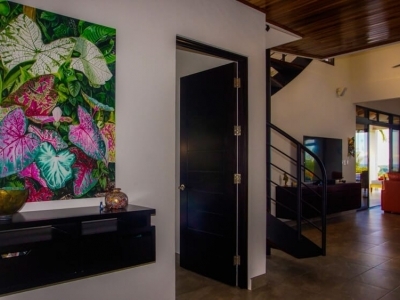 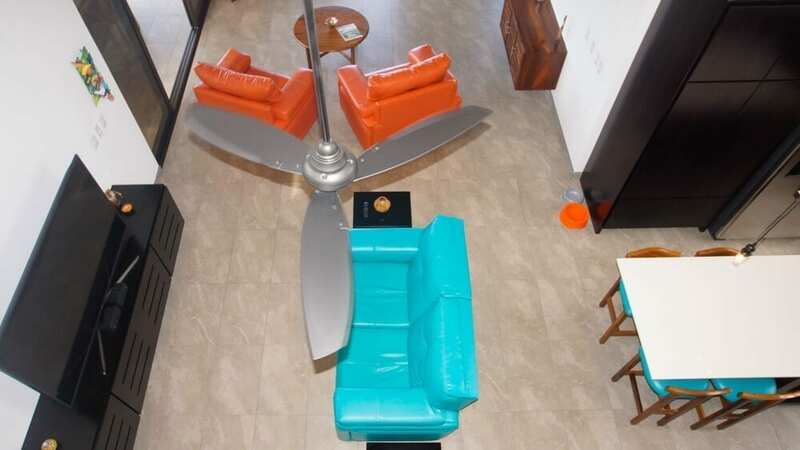 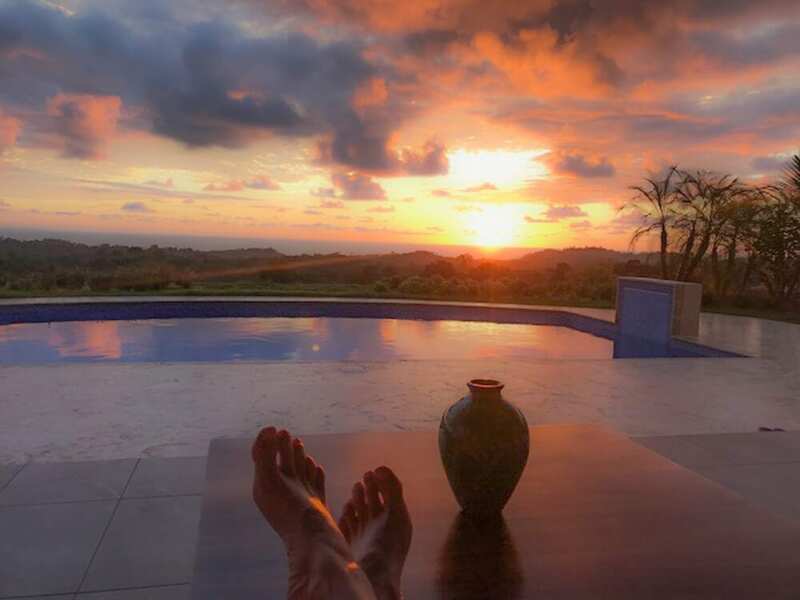 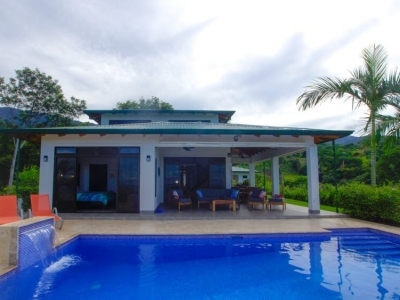 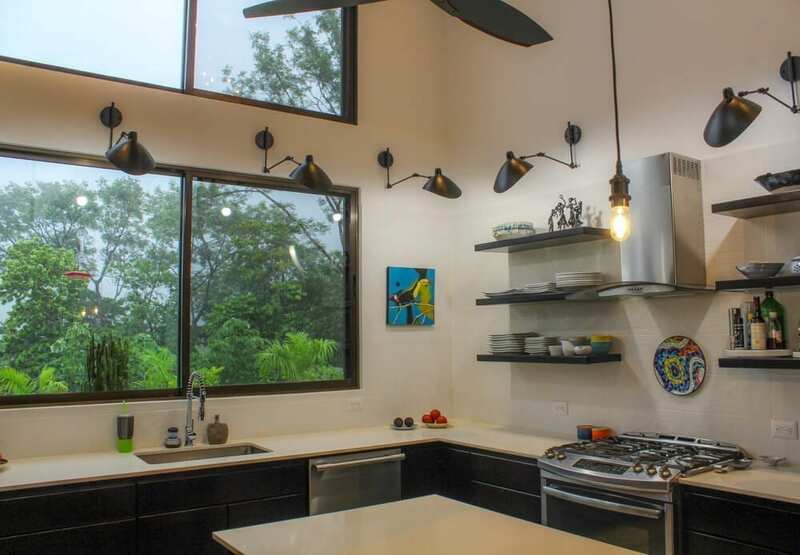 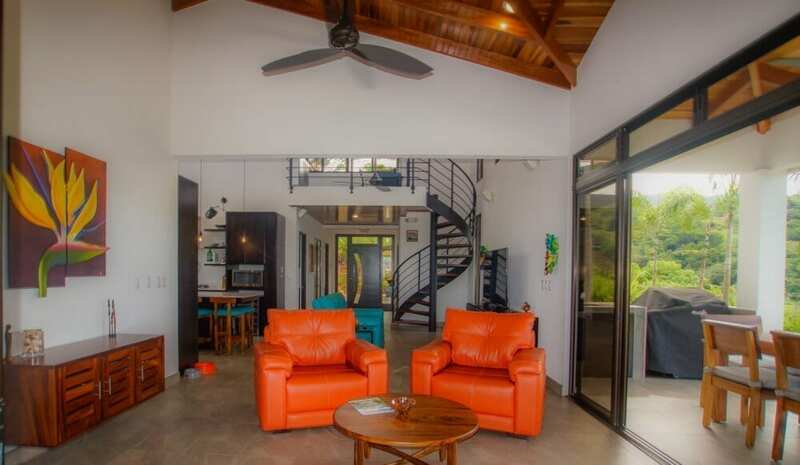 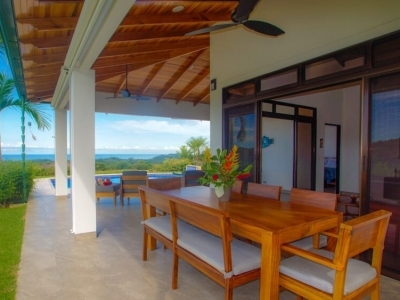 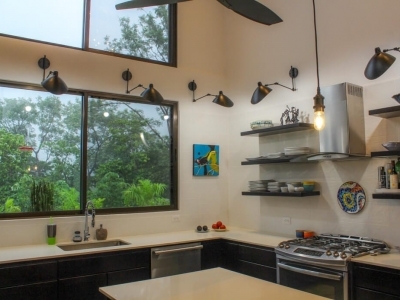 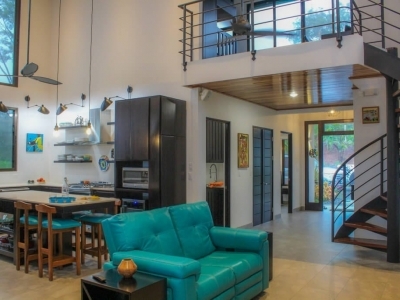 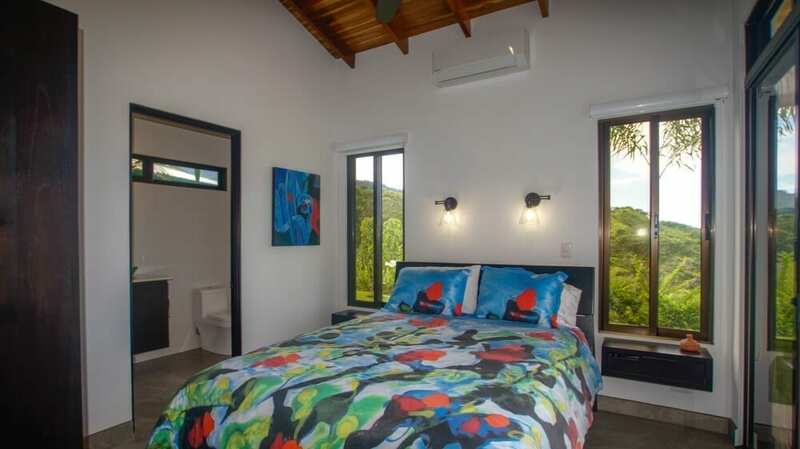 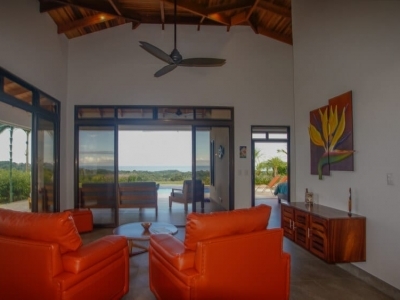 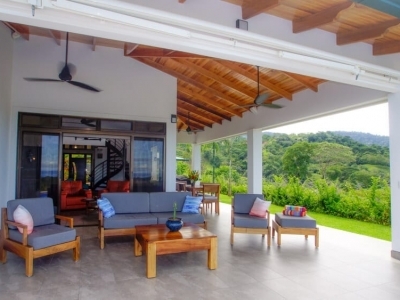 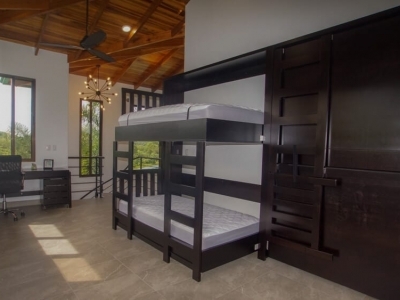 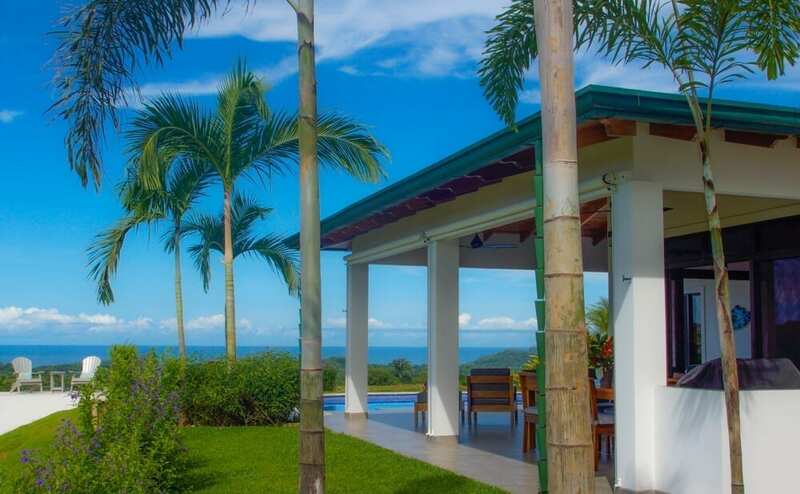 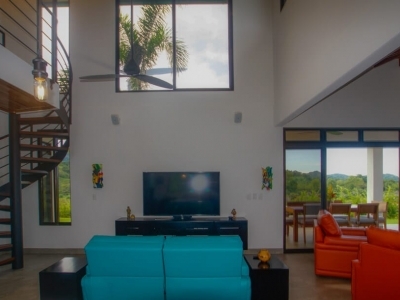 Situated minutes away from fabulous unspoiled beaches and several fantastic restaurants, this home is sure to bring you, your friends and family the “Pura Vida” that Costa Rica is renowned for. 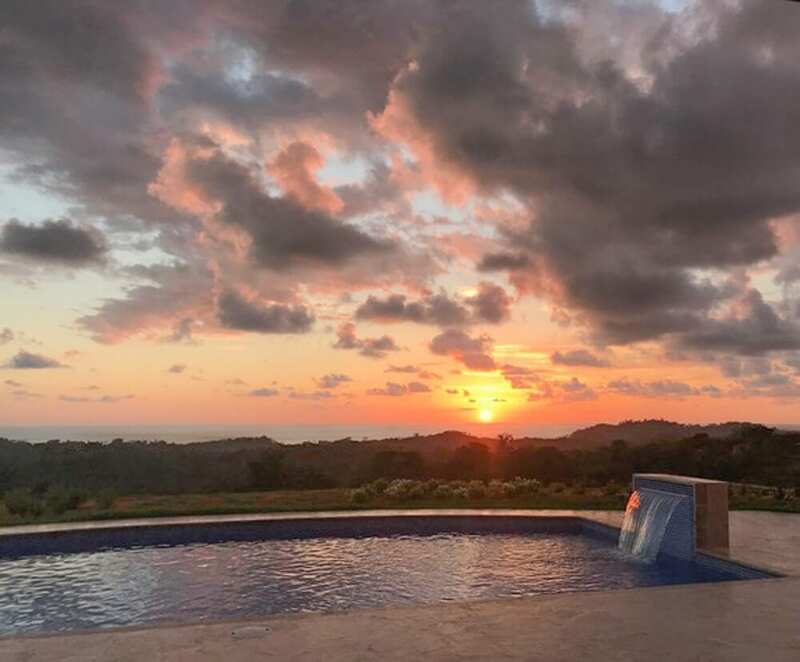 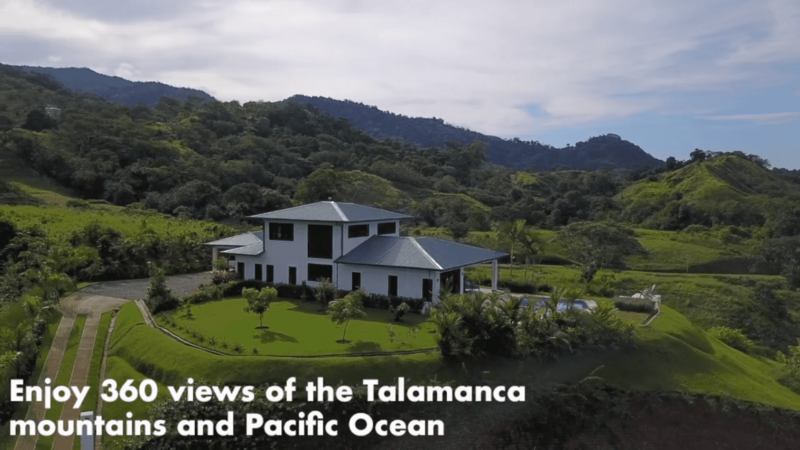 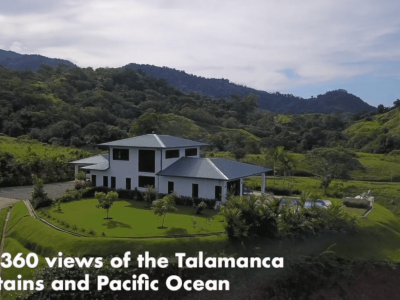 Set on the premium lot within the newest development nestled in the foothills of Ojochal, with fabulous 360-degree ocean and mountain views, this brand-new luxury home is the hottest property currently available in Ojochal. 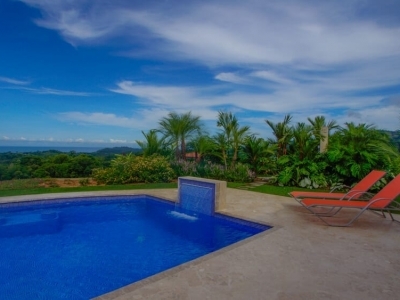 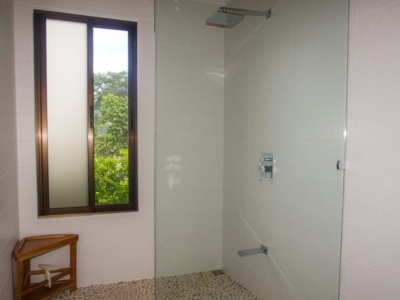 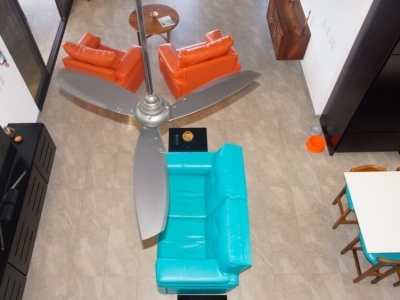 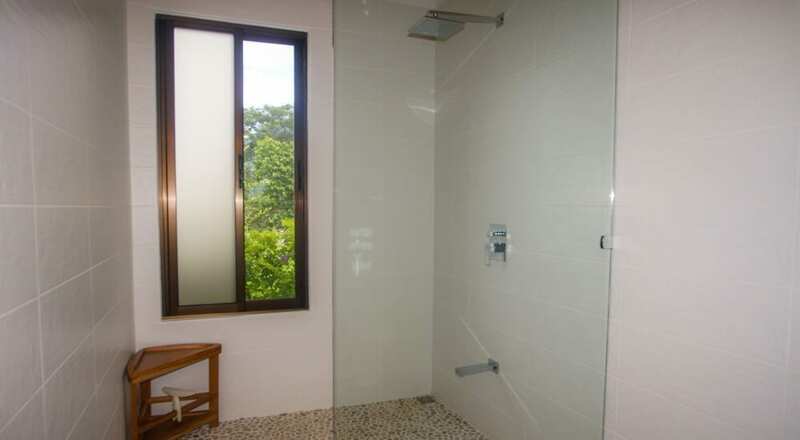 The property is ideal as a permanent residence, vacation home or rental property. 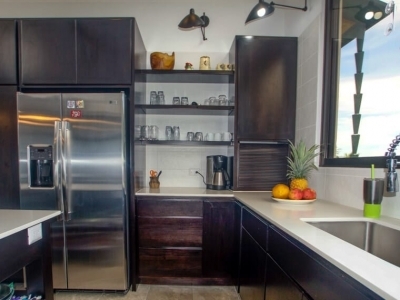 It is suitcase ready, fully furnished and equipped with upscale amenities you expect. 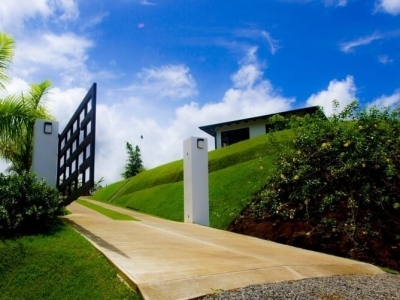 If desired, a small second or caretaker home could easily be accommodated on the spacious driveway side of the yard. 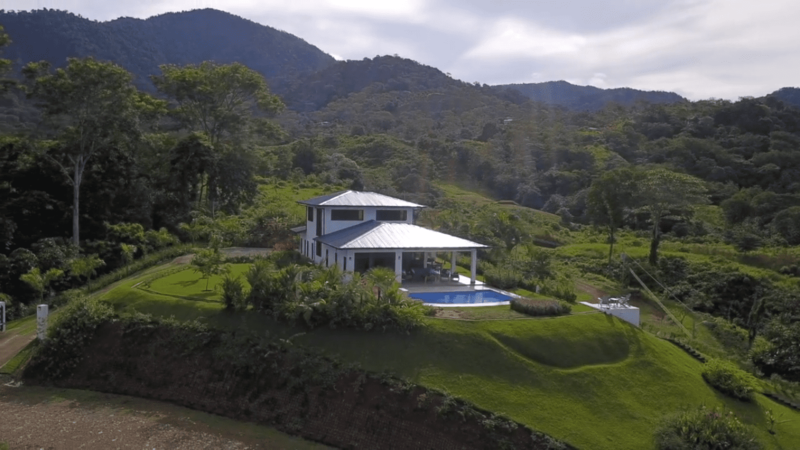 As you pull up to the property the attention to detail and the investment in professionally-designed landscape will impress you. 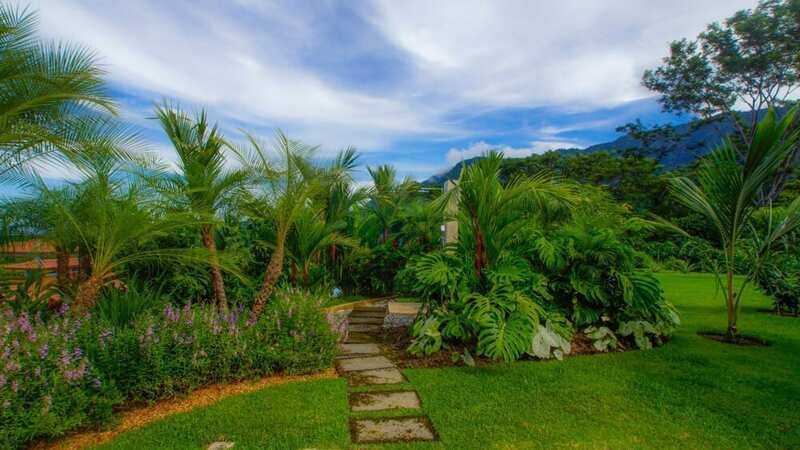 The manicured grounds invite you in to see all the great features of this fabulous tropical retreat. 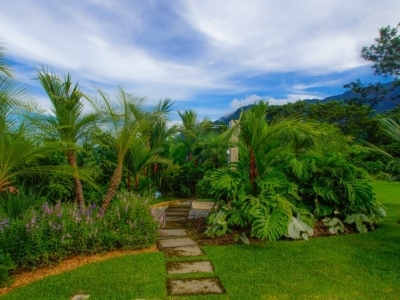 The colorful gardens feature many flowering plants and a wide variety of fruit trees. 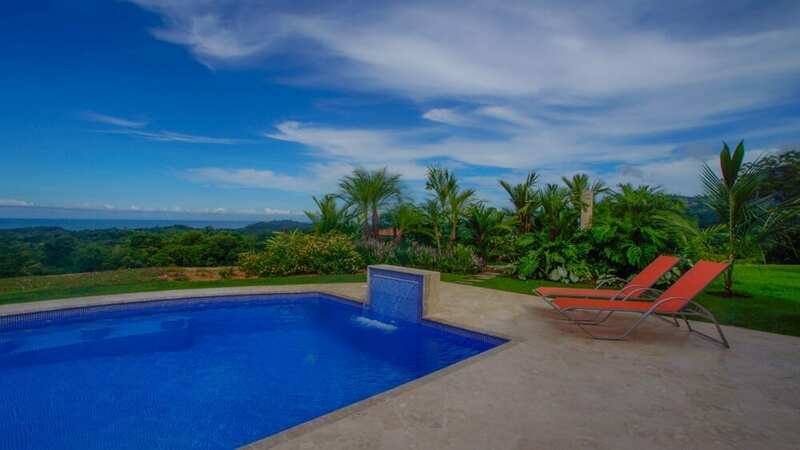 The property is an absolute wonderland to behold! The setting optimizes the expansive ocean views along with Cano Island and gorgeous sunsets most of the year. 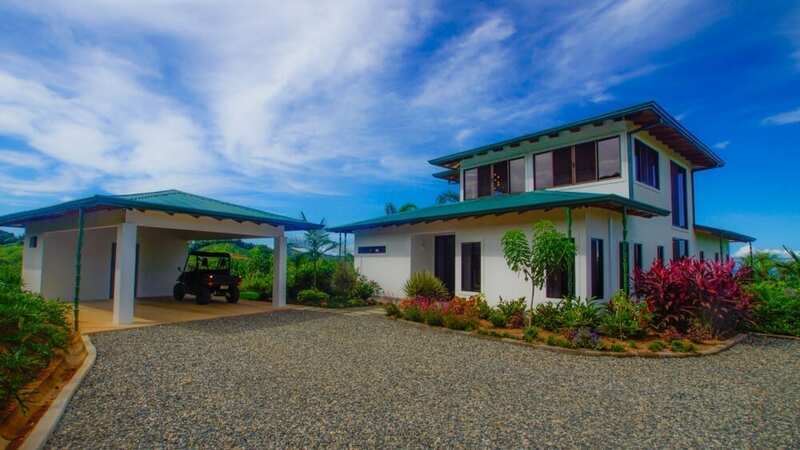 The cielo grande (big sky) vantage point affords the most stunning views of the starry night sky on clear evenings, and the most spectacular lightning shows during the rainy season. 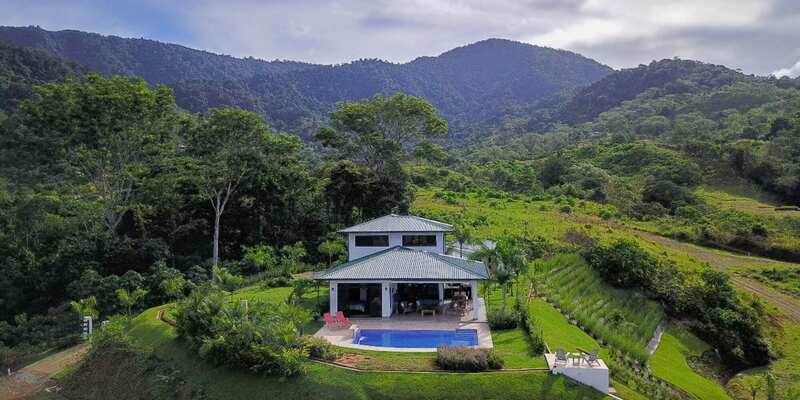 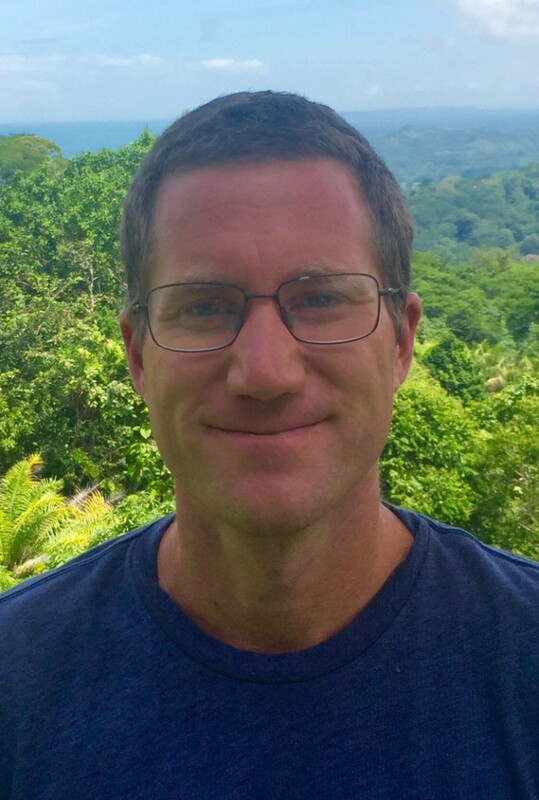 Take your morning coffee to the lookout area where you can watch the sun rise over the mountains as toucans and parrots glide by, and hummingbirds and butterflies softly drift past, chirping their morning songs or feed on the flower nectar all around you. 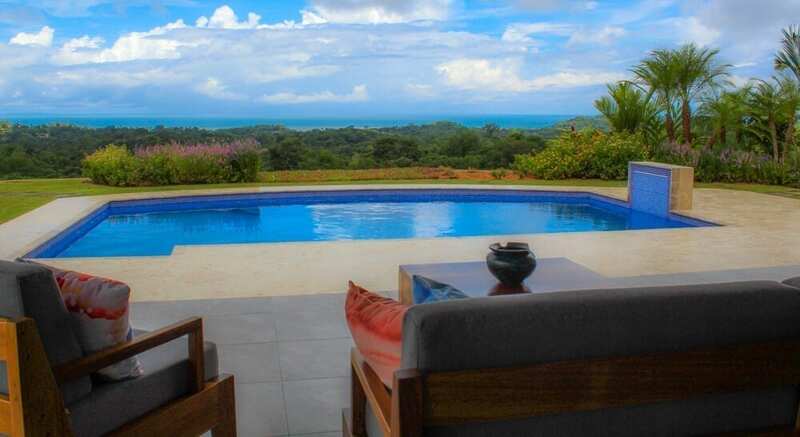 Enjoy a refreshing dip with a view in your large ocean-facing pool, or a cocktail on one the pool’s bar stools. 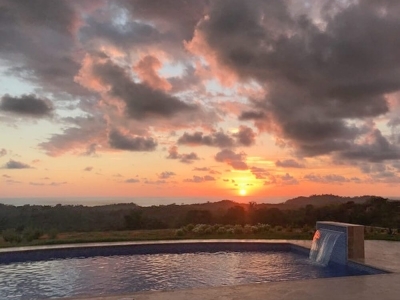 Enjoy listening to the pool waterfall and watching the sun set while lounging poolside on the beautiful Coralina stone terrace. 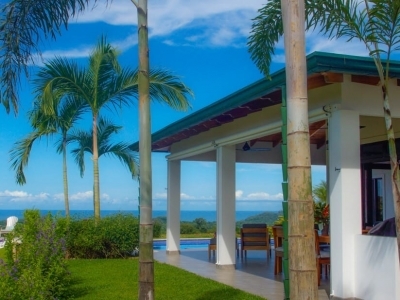 Here you will live the highly sought-after indoor/outdoor tropical lifestyle. 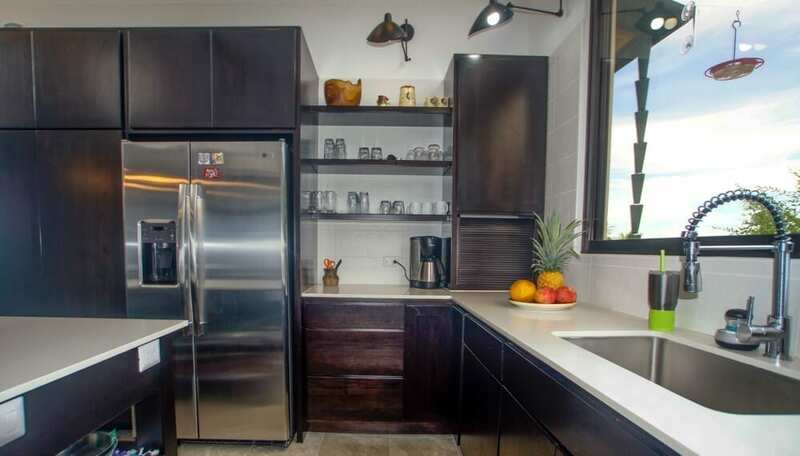 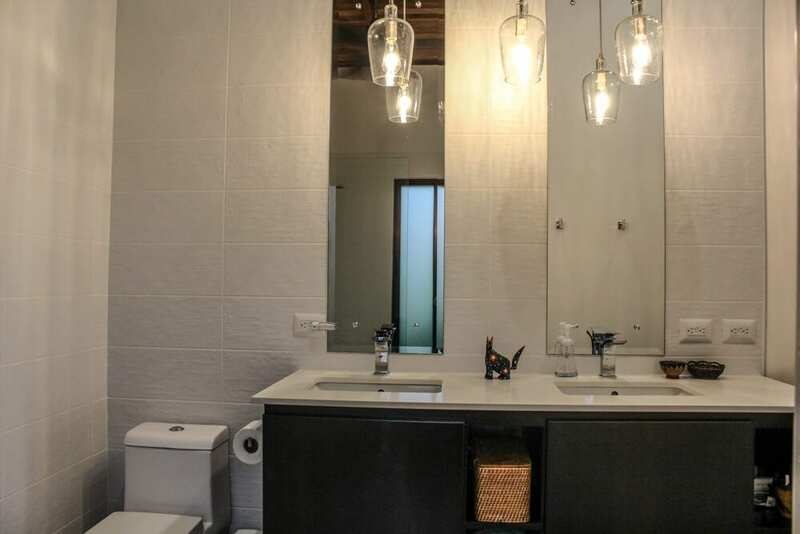 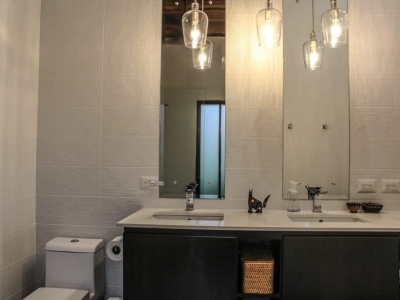 The home features a functional layout, clean lines, top quality finishes, fixtures, furnishings and appliances all of which enhance this thoughtfully-designed home that the current owners recently built, sparing no expense to maximize the comfort and quality of life. 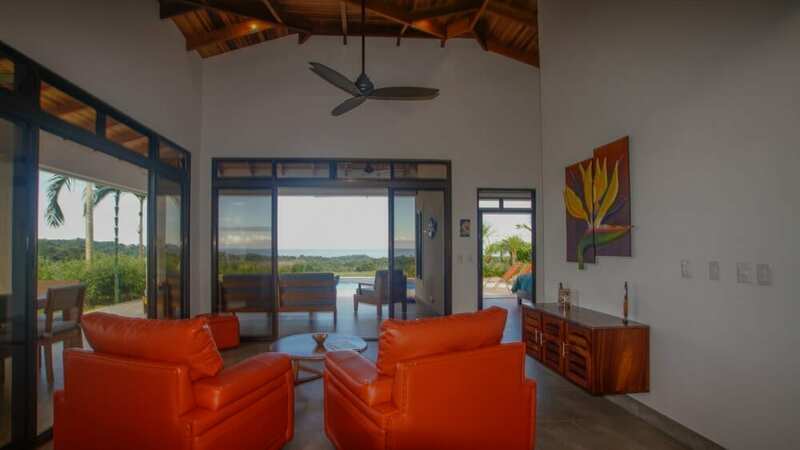 The open-concept is expertly designed to maximize the constant ocean and mountain breezes that flow through the property day and night. 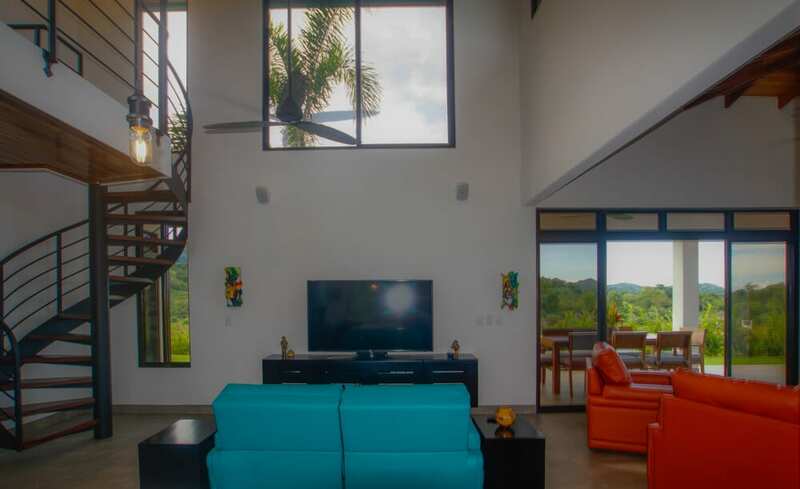 The outdoors flows seamlessly indoors into the great room, with its 2-story Laurel wood ceilings, colorful and comfortable furnishings, and wooden entertainment cabinets artfully suspended for ease of cleaning. 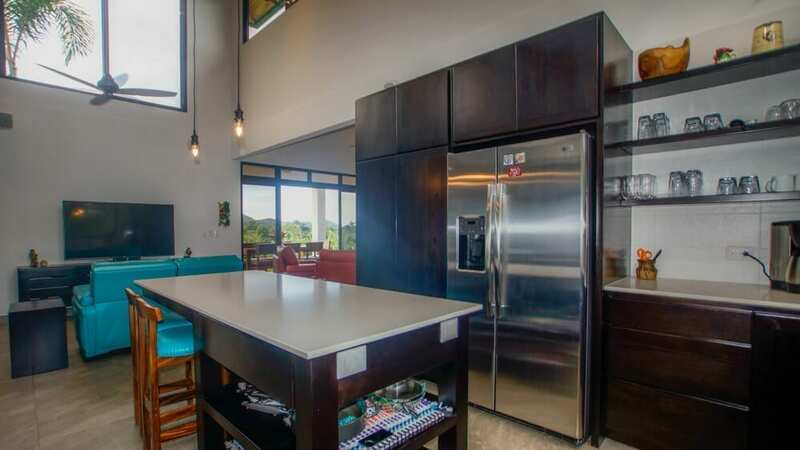 Within the great room you will find a 5-star kitchen with quality stainless steel appliances, quartz countertops and a large island/breakfast bar. 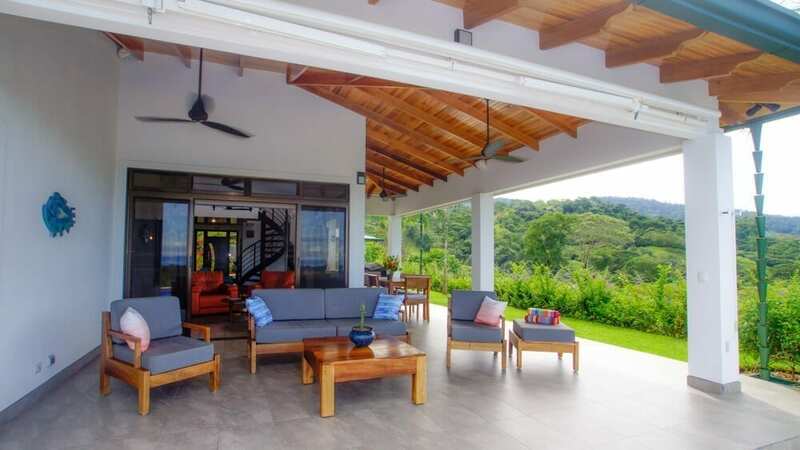 The great room then flows back outdoors to the generously wide covered terrace with grilling station, custom built solid Costa Rica wood furnishings with comfortable cushions, including a dining set, sofa and chairs. 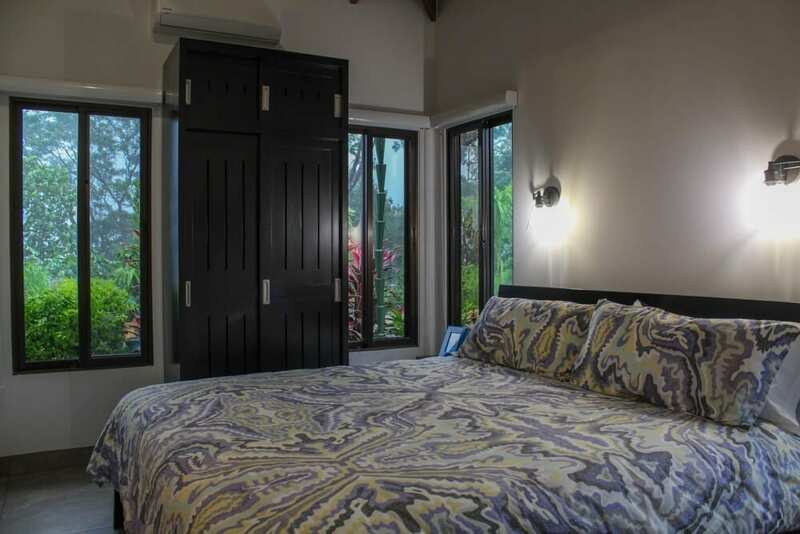 All three of the air-conditioned bedrooms feature ocean and mountain views. 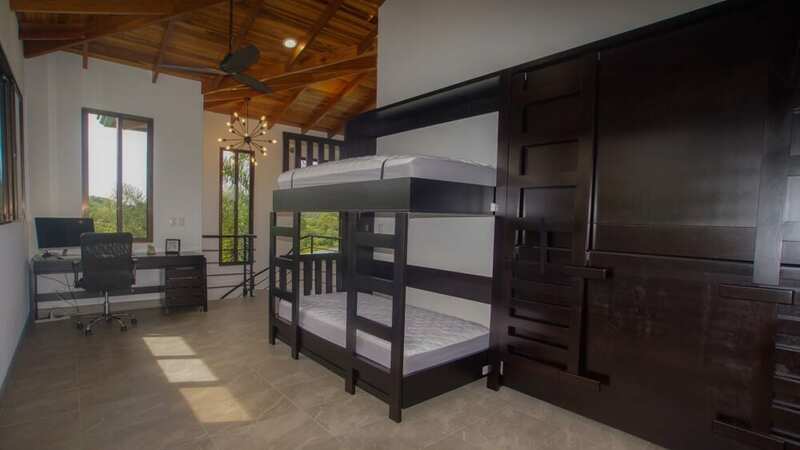 The master suite is a private wing, with cedar armoire and suspended nightstands, walk-in dehumidified closet/safe room, and the en suite bathroom is complete with dual sinks, and a spacious shower, everything you need to look and feel your best. 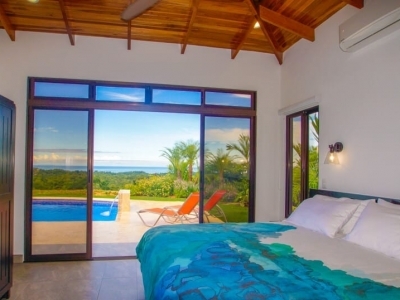 The master suite has wide patio doors that lead directly to the pool terrace and overlook the ocean view. 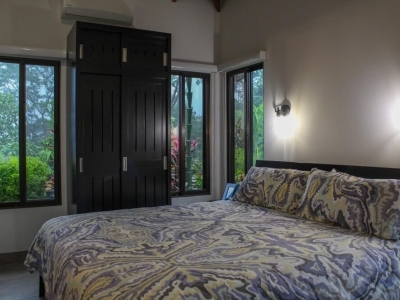 Two tastefully decorated guest bedrooms, each with custom solid cedar armoires and suspended nightstands, and beautiful en suite bathrooms, provide the perfect private space for visiting family and friends. 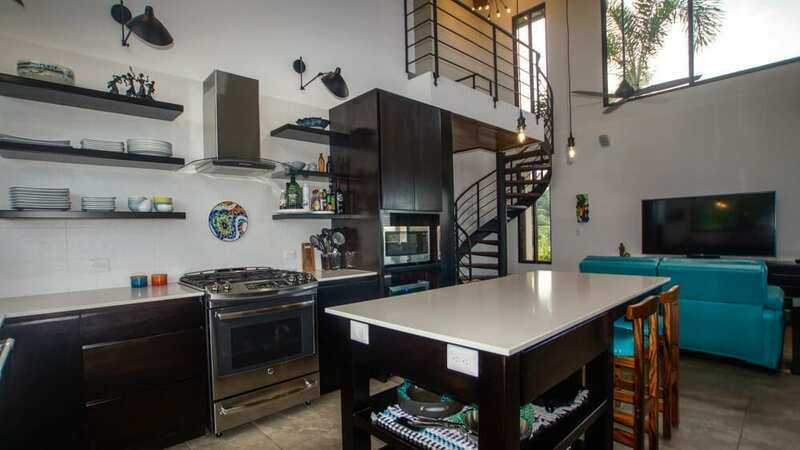 A brilliant feature of this home is a spacious loft atop the spiral staircase, where you can have a quiet and breezy office space, or host 4 additional guests with the Murphy beds that are tailor-made. 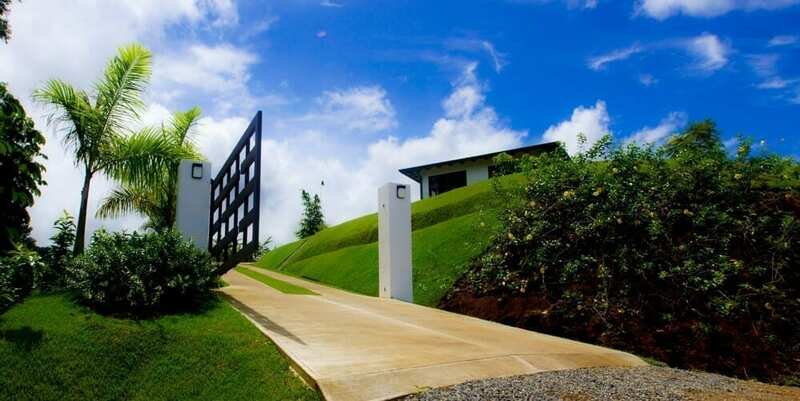 The property entrance has an electric gate, and a palm-lined concrete drive with ample parking for 4 vehicles, 2 outside and 2 in the carport. 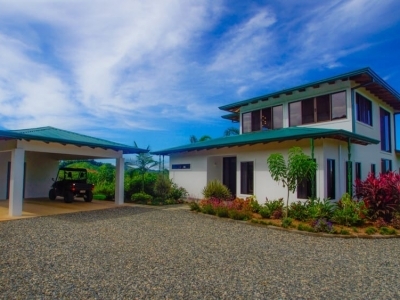 The carport features a large bodega for securing tools and storage for luggage or bulk purchases. 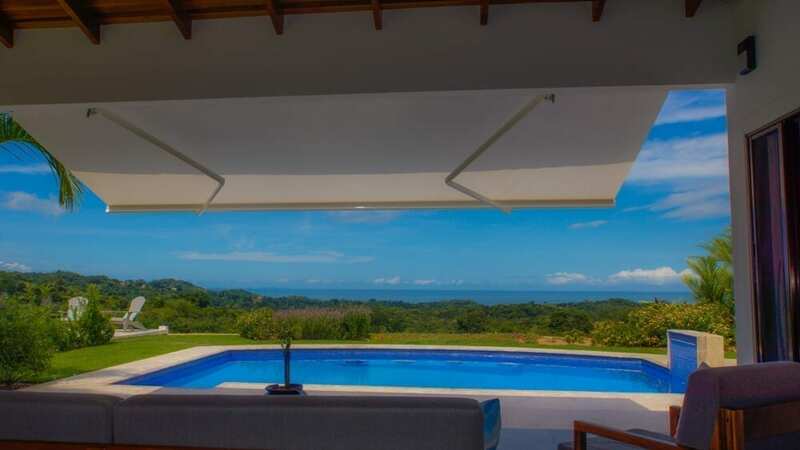 Additional features include installations of; entertainment speakers inside & out, PEX water lines, a whole-home surge protector, quality aluminum frame with Soltis 92 fabric awnings around the terrace, an expansive network of lawn and garden irrigation and back-up water system, water supplied by Ojochal Asada.